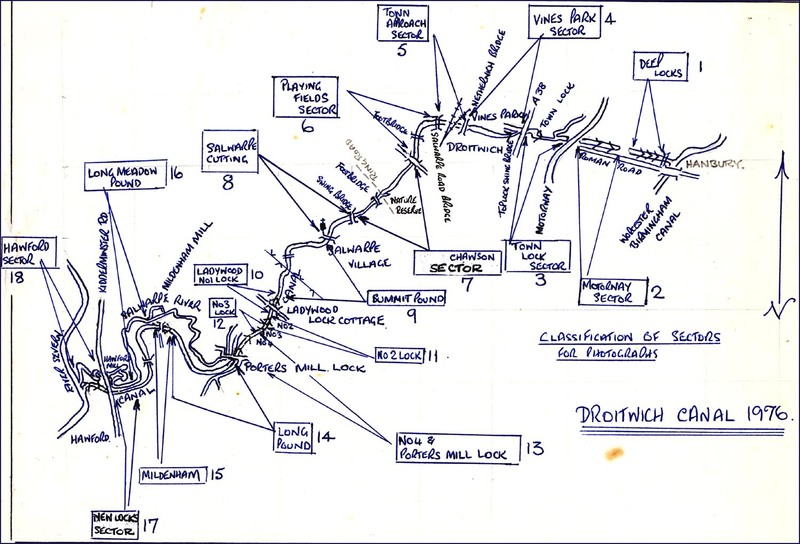 The two canals involved in this mammoth restoration project were the DROITWICH CANAL and the DROITWICH JUNCTION CANAL - in all some 15 miles of waterway linking the Worcester Birmingham Canal to the River Severn. 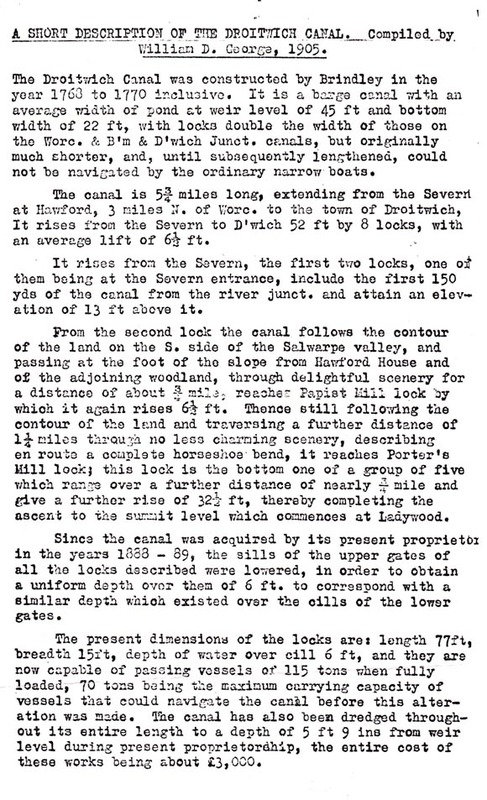 For restoration purposes the two canals were divided into 18 sectors in the 1970s. We have organised this web site along similar lines. To view a MAP OF THE SECTORS click here. Vines Park Droitwich - an early picture of the canal in its heyday. 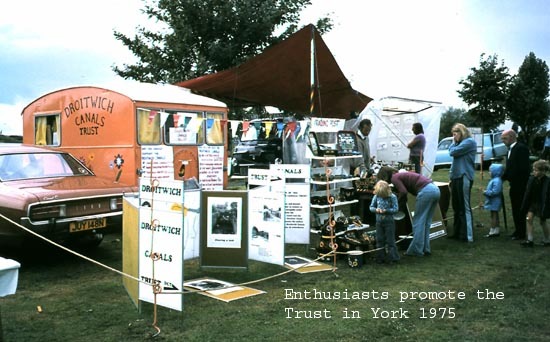 Following abandonment and dereliction after 1939, a Trust was formed in the early 1970s to bring about restoration. 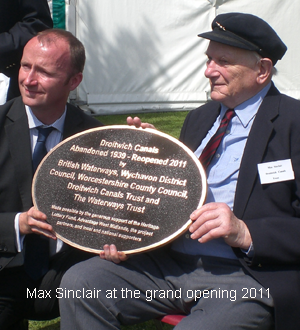 Max Sinclair chaired the Droitwich Canals Trust comprising a combination of voluntary local individuals and officials from various relevant organisations as the Board of Directors. Work of the board comprised everything from fund raising to management of the existing canal as well as planning future restoration. Above - Problems were monumental with the restoration. 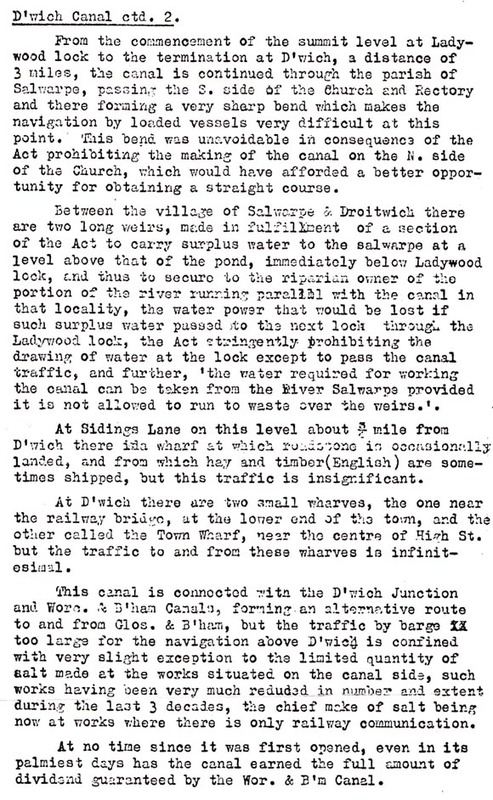 One of many was the Kidderminster Road which when built had resulted in the canal being channelled into a small culvert/drainage tunnel beneath the road. The result was a thwarting of any easy restoration of navigation. 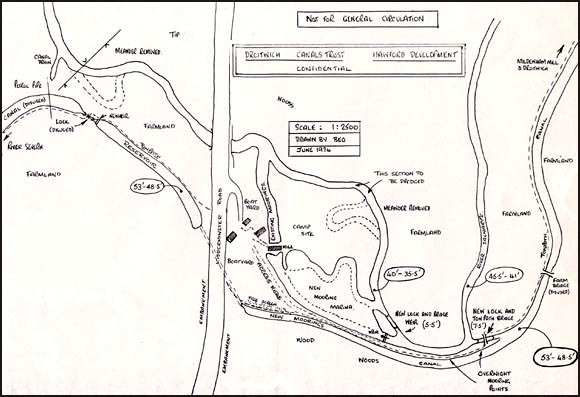 A plan was devised to route the navigation into the nearby River Salwarpe. This would enable the river bridge under the road to be utilised for boat passage. Land was bought as a means of demonstrating that through navigation was potentially possible thereby enabling support to be secured for the project from possible funders. As it happened eventually it was agreed to run a new navigable bridge under the road for boats. 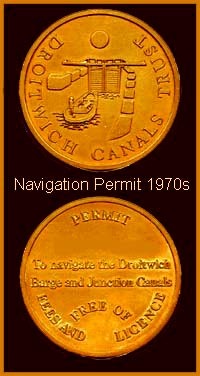 This had the advantage of capturing the original canal route either side as well as removing the risk of navigating the hazardous lower section of the River Salwarpe. It would take a book to cover the detail of the seemingly impossible task of restoration, orchestrated by the team of employees and directors led by Max Sinclair and others. 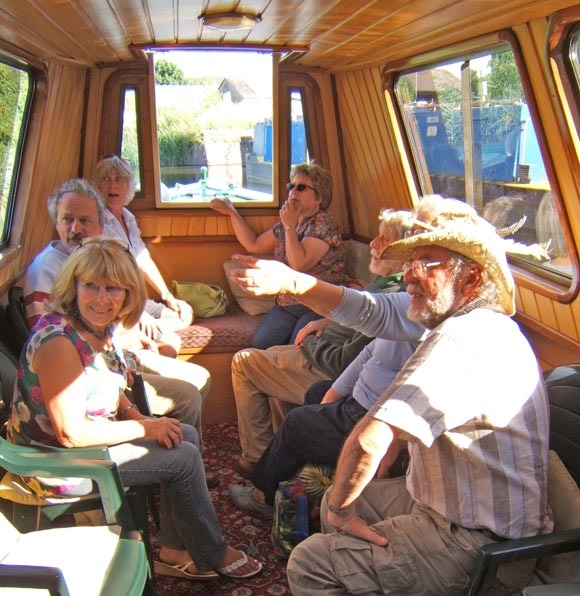 After a quarter of a century of hard work and endeavour the navigation opened in 2011. In the picture Max receives the opening commemorative plaque as a tribute to the countless individuals who gave their time, energy and financial resources to pursue the dream. This web site gives pictorial clues as to the achievements that eventually secured the fruition of that dream. authored by Dr Bruce E Osborne former volunteer worker and founder director of the Trust. To view the Droitwich Waterways Trust web site click website below. The Droitwich Canal and Droitwich Junction Canals are now a through waterway and popular with narrow boat enthusiasts. The route of the canals also provides a linear park for recreation. As such the community at large can enjoy what was once a swampy, abandoned strip of land. In 2013 Dr Bruce Osborne, former Trust founder director, celebrated his 70th birthday with a trip on the canal. In the picture below we see the birthday party on the Pamela May hire boat. After 30 years Bruce (right) enjoys a cruise on what was once a derelict wasteland.